All lawns have grubs, however healthy lawns can usually repair damage at the same rate as its created and normally contain less than 10 grubs/sq.ft. When a lawn is stressed or unhealthy, the normal root development process is unable to keep up and dead patches develop. Sources of stress include extreme heat/cold, poor nutrition (unfertilized, compacted soil, etc), drought, etc. Skunks, raccoons and birds love these dead and dying patches, as they lift easily and are ripe with fat, juicy grubs. Like many things prevention is the most important step in controlling grub damage. Keeping your lawn thick and healthy is the key. Turf care services such as fertilizer applications, aeration and overseeding are important steps you should take. Generally, if there is sufficient rainfall, or the turf is watered regularly, visible grub damage is minimized. If you do have grub damage, we suggest applying nematodes. Nematodes are microscopic living organisms, and need to be treated properly. We purchase from a trusted supplier who stores the nematodes in a fridge to ensure they are alive and healty when we receive them. Its best to apply when the grounds temperatures are between 15 and 30 degrees Celsius. Ideally, apply on a cloudy day or early or late in the day as they are also UV sensitive. Nematodes are applied to the lawn via a spray system and its important to both water-in the nematodes and to keep them moist for the next four to six days. The two most common grubs hatch in late July to early August. The young, newly hatched grubs are more vulnerable to the nematodes, which is why applying nematodes in late August gives us a better chance of success in treating the infestation. Patch small damaged areas with topsoil and seed or sod. A yearly application of nematodes should keep things in check as long as you keep the lawn well looked after. If the lawn is more than 50% damaged unfortunately the best option is to replace it with new sod. 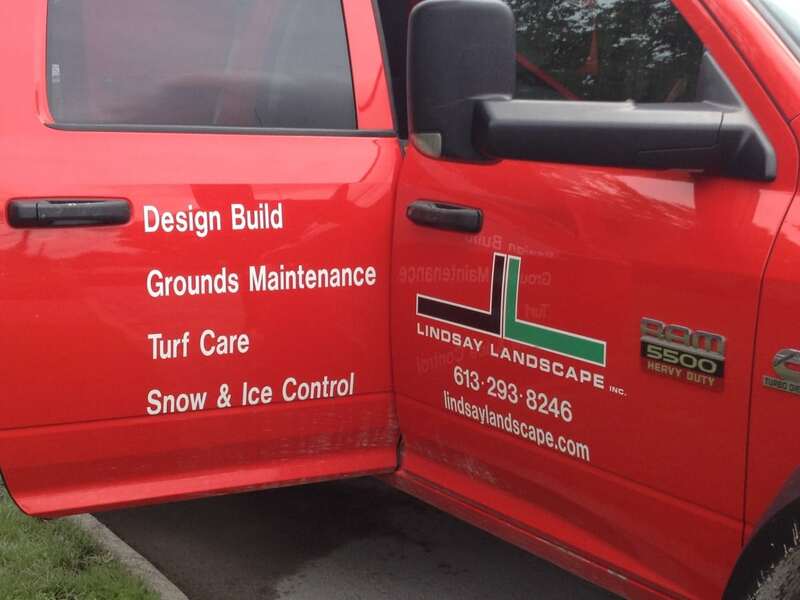 Once you have the new sod down, keep up with a Turf Care schedule and you should be able to keep the grubs under control and keep your lawn green and lush.